This release of Windows Server 2019 represents the next "semiannual channel" release (only available in English) and the next "long-term servicing channel" release (in all 18 languages). The new bandwidth control scheme included in this test build is called "Low Extra Delay Background Transfer" (LEDBAT). It's a "bandwidth scavenger" used for optimizing traffic during system updates. LEDBAT is designed to automatically avoid interfering with the network demands of end users. It involves "no throttles, no tuning, no scheduling, [and] no hassles for the IT pro," Microsoft claimed in its LEDBAT announcement. Microsoft considers LEDBAT to be No. 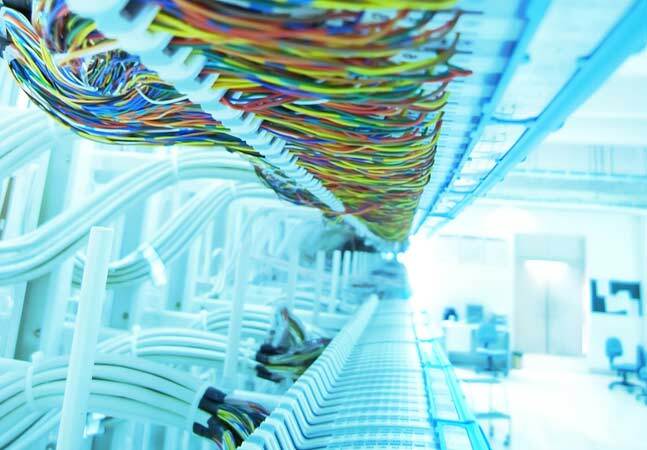 9 in its top-10 ranking of Windows Server 2019 networking features. Networking item No. 10, described earlier, is a new Precision Time Protocol that's designed to bring "true UTC-compliant leap second support" to systems. The Precision Time Protocol may prove important for some organizations in highly regulated industries. While LEDBAT is getting newly built into Windows Server 2019 for use by organizations, it's apparently already being used by Microsoft. For instance, Microsoft's more traditional BITS (Background Intelligent Transfer Service) protocol was "switched to using LEDBAT for upload traffic," Microsoft's announcement explained. The problem with BITS is that it requires the use of adaptive bit rate adjustments, which can slow down networks for end users, Microsoft explained. Microsoft also is promising that the use of LEDBAT will improve matters for organizations using System Center Configuration Manager (SCCM). It can be enabled on SCCM distribution points to help optimize background network transfers to client devices, as described in Microsoft's document. Many of our customers have an SCCM distribution point that throttles the downloads of packages to 50% of the available bandwidth to its clients. In this scenario, you'll only ever use 50% of the bandwidth even if 100% is available -- You've set a maximum amount that cannot be exceeded under any circumstance. As a result, your client downloads could take 2x as long! Even worse, user traffic may require more than 50% of the overall bandwidth -- in such scenarios, the bandwidth set aside for background transfers would interfere with the user experience. LEDBAT doesn't require carving out bandwidth caps. It uses the network capacity that's available, and will back off to avoid latency issues when there's network demand by end users, Microsoft explained. Kubernetes is an orchestrator for managing containers on server clusters. It was fostered by Google, but Microsoft has been pouring a lot of support into it in recent years, trying to make it easy for developers to use Kubernetes and spin up containers on Windows Server infrastructure. Last, but not least, this build of Windows Server 2019 includes an improvement to System Insights, which is Microsoft's built-in analytical solution for predicting system events and failures. System Insights has tools for CPU and networking capacity forecasting, as well as tools for storage and volume consumption forecasting. The latest addition in this build is the ability to easily update its individual predictive capabilities. It no longer requires performing a Windows Server 2019 operating system update.